07 | September | 2011 | boredinSA "entertain yourself..."
Don’t Call it a comeback! 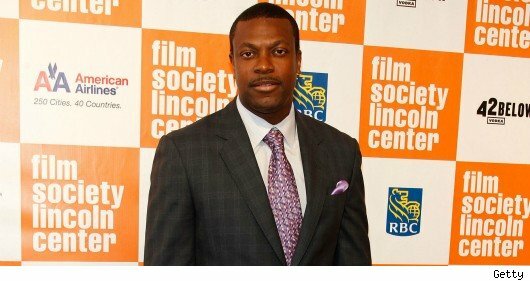 Variety reports that Chris Tucker is in talks for not one, buttwo high-profile roles — and neither is ‘Rush Hour 4.’ The picky comedian is in talks to co-star in the David O. Russell–directed ‘The Silver Linings Playbook’ with Bradley Cooper and Jennifer Lawrence, as well as ‘Neighborhood Watch’ opposite Ben Stiller, Vince Vaughn and Jonah Hill. Tucker — who hasn’t appeared onscreen since ‘Rush Hour 3’ in 2007, and has only made ‘Rush Hour’ films since 1998 — would play Cooper’s best friend in ‘Playbook,’ an institutionalized free spirit who frequently escapes to visit his recently released pal. In ‘Watch,’ Tucker would tackle the role of a recent divorcee hoping the local neighborhood watch — which counts Stiller, Vaughn and Hill as members and uncovers a plot to destroy the world — will get him out of the house. This isn’t the first time Tucker has been rumored for a high-profile film in 2011. The star was also on the shortlist of names for the lead in Quentin Tarantino’s ‘Django Unchained,’ a part that eventually went to Jamie Foxx. 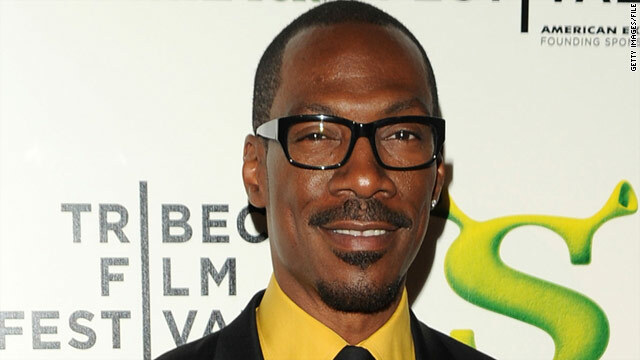 Los Angeles (CNN) — Comedian Eddie Murphy will host the Oscars next February, the Academy of Motion Picture Arts and Sciences announced Tuesday. “With his love of movies, history of crafting unforgettable characters and his iconic performances — especially on stage — I know he will bring excitement, spontaneity and tremendous heart to the show Don and I want to produce in February,” Ratner said. Critics panned the co-hosting team of Anne Hathaway and James Franco after last February’s awards show, putting pressure on producers to hire a host who will stir positive buzz and draw viewers. “I am enormously honored to join the great list of past Academy Award hosts from Hope and Carson to Crystal, Martin and Goldberg, among others,” said Murphy, referring to previous hosts and show-business legends Bob Hope, Johnny Carson, Billy Crystal, Steve Martin and Whoopi Goldberg. Murphy, who started his stand-up comedy career at 15, was 19 when he became the youngest cast member on TV’s “Saturday Night Live” in 1980. His feature film debut came in 1982’s “48 Hrs.” and was followed by “Beverly Hills Cop” and the “The Nutty Professor” and “Shrek” franchises. Murphy’s movies have earned in excess of $7 billion at box offices worldwide, according to the Academy’s news release. The show will be televised live in more than 200 countries from Hollywood’s Kodak Theatre on Sunday, February 26, 2012. Lil Wayne’s Tha Carter IV shifted an impressive 964,000 albums (physical+digital) during its debut week, according to Nielsen Soundscan stats surfacing late Tuesday. That follows a gigantic, record-setting iTunes tally of 300,000, achieved after just four days. The number falls just shy of the first-week tally forTha Carter III, which eeked past one million back in 2008. It also falls short of being the highest album debut of the year, though an asterisk may be in order. The 2011 prize belongs to Lady Gaga’s Born This Way, which shifted a lofty 1.1 million just a few months ago. But several hundred thousand of those were subsidized by Amazon, and the comparison hardly seems fair. Another talking-point is timing. Wayne released his album right after the VMAs, a move designed to better capture consumer impulse. Seems like a highly effective decision, and one that could be copied by others moving forward. Wayne bucked traditional Tuesday-to-Tuesday release cycles, a structure that increasingly seems out-of-date.